GSA has modernized its multiple-award schedule vehicle for human resource services to address contract redundancy and streamline the acquisition process for such service offerings. GSA rebranded Schedule 738 X and is now called "Human Capital Management and Administrative Support Services" The new version will be completed by the end of April 2017. The improved schedule makes it easier for agencies to find HR service providers, 60 percent of whom are designated as small businesses. GSA changed it to align Schedule 738X with the Office of Personnel Management‘s Federal Human Capital Business Reference Model. It will offer a full spectrum of human capital professional service providers, and agencies will be able to award task orders quickly and efficiently. The new contract will provide small business more opportunities. Also, HR 738 X is a viable candidate for “Best-in-Class” (BIC) designation. BIC is a contracting classification used by the government to designate contracts that meet category management performance criteria. A BIC contract is recognized as a ‘good-for-government’ purchasing solutions which should be employed by all agencies. providing forecasting techniques through the use of experts, workforce skills assessment, trend projection and other forecasting methods. 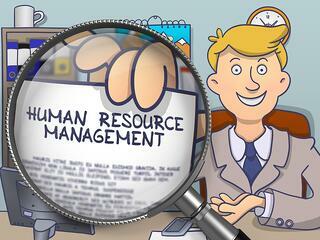 measuring and improving human resources performance. assisting in the program design, analysis, and integration. improving individual and group dynamics, morale and team building, and internal and external social media utilization. Organizational Development (Optimization) is a system-wide application and transfer of behavioral science knowledge to the planned development, improvement, and reinforcement of strategies, structures, and processes that lead to organization effectiveness. This function provides for HR Management Consulting, Change Management, and HR Process Improvement as well as transactional personnel actions that support Customer Agency goals. The MAS 738 X schedule is structured as an indefinite-delivery/indefinite-quantity contract vehicle with a five-year base period and three five-year option periods. 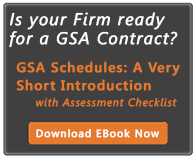 GSA said small businesses account for 60 percent of the contract’s vendor pool.